Good: Improves skin tone, moisturizes, covers redness, and protects skin from SPF all in one! Apply over entire face and neck area before exposing skin to sun. This product in most Ulta and drug stores, as well as online at the Ulta and Garnier websites. A great tinted moisturizer is the basis of my daily beauty routine. I have gone through several different brands and formulas, trying to find one that worked for my skin. While I found a few different kinds that I liked, they made quite a dent in my budget. When I saw the new Garnier Skin Perfector B.B. Cream, I was hopeful that this could be my new go-to foundation. I was not disappointed! I have used this product daily since the day I bought it and, for $13, it is much less expensive than many other products I have tried. As you can see from the picture above, this product looks opaque on its own. However, when it is blended, it goes on pretty sheer. It looks natural while still covering red spots.This B.B. cream only comes in two shades: Light/Medium and Medium/Deep. Because I have such fair skin, I have to be very careful with products such as this because they tend to be too dark for me. While I mostly do not have problems with this product, I have to be careful to blend well, otherwise a few orange spots appear on my hairline and jaw. Also, note that this product does have a scent. Usually, things like that bother my sensitive skin, but this clean scent is subtle and has not caused any irritation or breakouts on my skin. 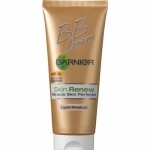 As seen in the picture above, when blended, Garnier Skin Perfector B.B. Cream is really sheer. Although the natural look is great, don’t count on this product to cover major blemishes. However, it does a really good job of evening out skin tone and reducing redness. Also, having used it daily for several weeks, I have noticed a difference in my skin. My skin tone is much more even and the flakes of dry skin have disappeared! Also, I love that this product has an SPF of 15. I think it is really important to use a foundation with an SPF, even when you’re not going outdoors all the time. It prevents skin damage and will keep your skin looking healthy and young! 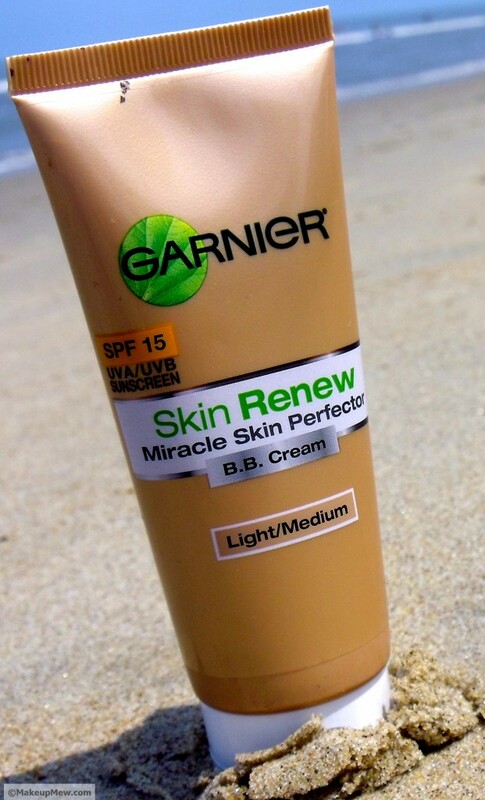 Overall, I would definitely recommend using Garnier Skin Perfector B.B. 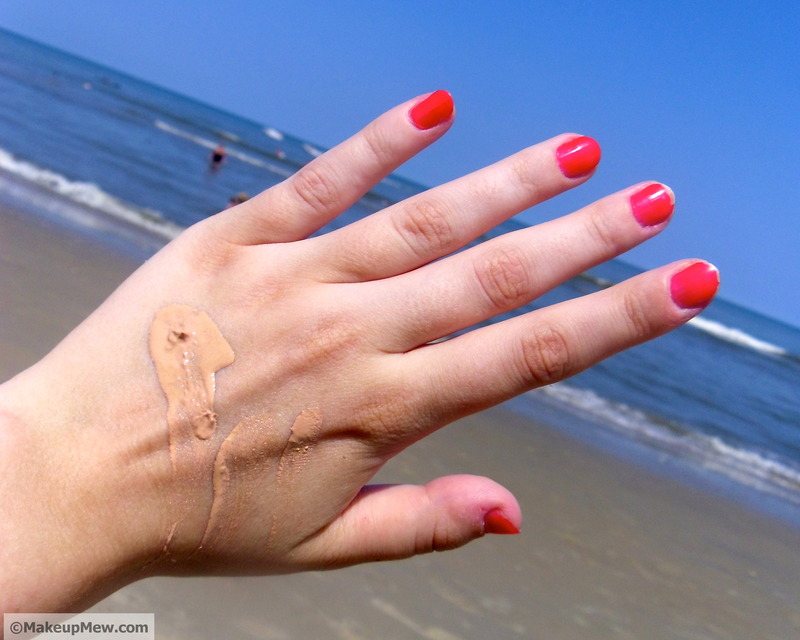 Cream if you are looking for an inexpensive and effective tinted moisturizer. I love that it moisturizes, conceals red spots, improves evenness of skin tone, and protects skin from sun all in one! It saves me a lot of time and money, as I only have to apply this product by itself, while with other creams I would have to apply lotion and sunscreen as well. Leave a comment below to share your thoughts on this product! 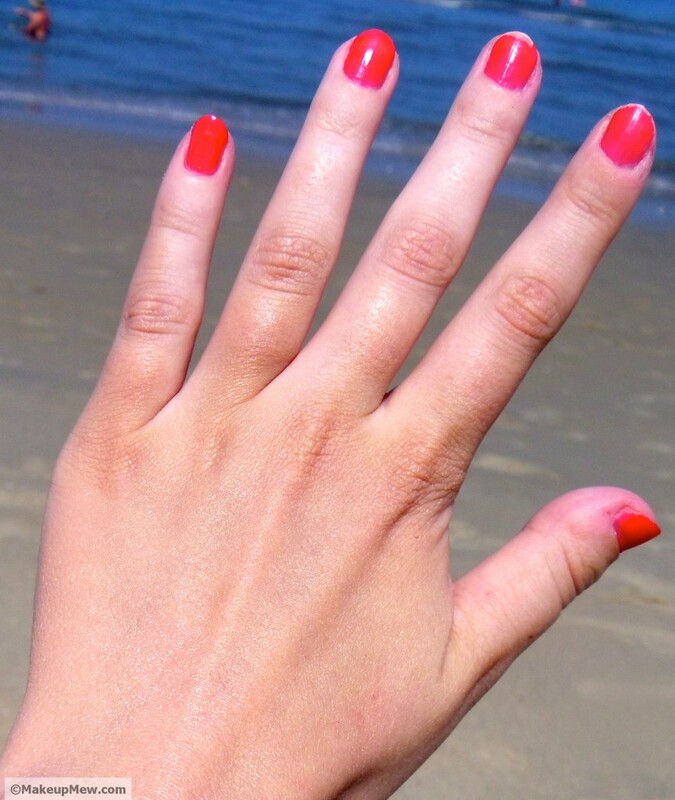 I love your nail color against the blue of the sea. I like breathable foundation. This bb cream seems suitable for summer. Thank you! Because it is lightweight and doesn’t ‘melt’ off in warm conditions, it really is great for summer! I love BB Creams! I have a bunch of them too! Have you tried BB creams by Asian brands like Missha, Etude House, Majolica Majorca, Nature Republic, etc.? I don’t think they’re available at Sephora, but they’re better than the ones made in the U.S. IMHO. I have heard of those brands, but I have never come across them in a store. I might take you up on your offer sometime :). I love experimenting with new products and brands! I must admit that I’ve never got round to trying BB Creams…I wrote a post a while back looking into what they are, and what they claim to do because even though people talk about them all the time, I realised that I didn’t have a clue. At the time I’d promised to buy one, but I just haven’t! I also was intrigued by all of the buzz about BB creams in the beauty community, but I didn’t want to spend a lot of money on them when I wasn’t sure of their effects. That’s why I chose this product! While I have noticed that my skin tone has become more even, the small changes, for me, don’t justify completely turning back on other types of tinted moisturizers and foundations. However, I have become a religious user of this product and I will continue to use it for the remainder of the summer months!